Polyethylene Pond Liners - Reinforced Polyethylene Pond Liner (RPE) | Reef Industries, Inc.
Permalon® cross laminated, alloyed polyethylene pond liners are manufactured to exacting standards and provide superior performance in almost any environment. 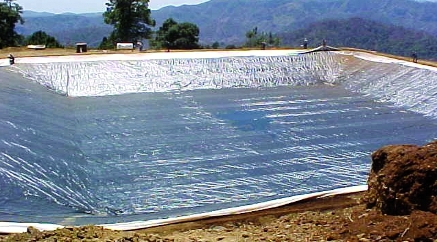 Managing water resources in demanding environments is often best accomplished with what are generally termed geomembranes or liners. Agricultural, aquaculture, recreational and other markets benefit from the use of hydraulic barriers that prevent water loss. Livestock tanks, brood tanks and raceways or golf course ponds have all been served by Permalon® products. 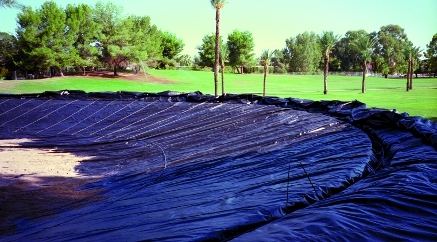 Permalon® pond liners are available in stock configurations for immediate availability or can be custom fabricated to exact project requirements. A range of weights, thicknesses and the availability of external composite reinforcement enable Permalon® products to handle the most difficult site conditions. 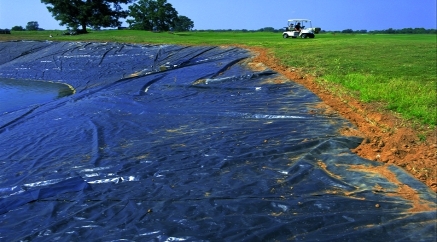 Designed to be lightweight and easily handled, Permalon® pond liners are reliable and cost-effective.